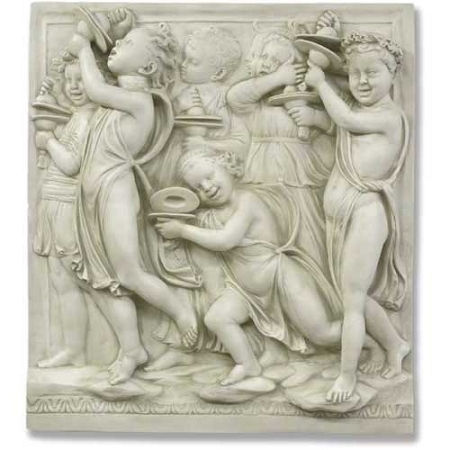 Large wall plaque featuring child playing musical instruments as they sing and dance. A very uplifting piece of wall art. As these children all have smiles on their faces. Made of light weight fiberglass and hangs an the wall like a picture.